"Now more than ever, as people are calling into question the accuracy and authenticity of the Jewish state, we need to strengthen our efforts to protect these treasures," said Rayah Levy, founder and director of ArteQuesta. "They are the visual fingerprints of a culture and tell the story of how the Jewish people used the arts to communicate and then redefine their traditions in their homeland. Our goal is to help future generations understand the rich history and culture of Israel." MILL VALLEY, Calif., Aug. 22, 2014 (SEND2PRESS NEWSWIRE) — ArteQuesta, a fine art investment company has announced new artworks to be added to the Israeli Masters Collection as part of their continued effort to preserve Israeli art and culture. The collection was created over ten years ago to gather and preserve historically significant artworks and artifacts by Israeli artists during Israel’s diaspora and the emergence of the Jewish state in 1948. The collection currently features over thirty artists, including Yaacov Agam, Reuven Rubin, Moshe Castel, Arieh Lubin, Emmanuel Mane-Katz, Menashe Kadishman, Yosl Bergner, and Yohanan Simon. ArteQuesta has diligently collected and assembled these works from the families of the artists and original collectors, protecting the works from being sold at auction and thus lost to art history, while preserving the provenance of each piece as part of their efforts to preserve Israel’s national treasures and cultural heritage. The ArteQuesta Israeli Masters Collection is a visual record of the creation of the state of Israel, pre and post 1948, through the eyes of its most prominent 20th century artists. ArteQuesta continues to preserve these artworks and catalogue them, ensuring the works are safe and kept available to the public and to historians by tracking them from owner to owner through the ArteQuesta Art Portfolio Management Software. For those interested in the efforts to preserve Israeli art for future generations or about the ArteQuesta Israeli Masters Collection please visit ArteQuesta’s website: http://www.artequesta.com/. 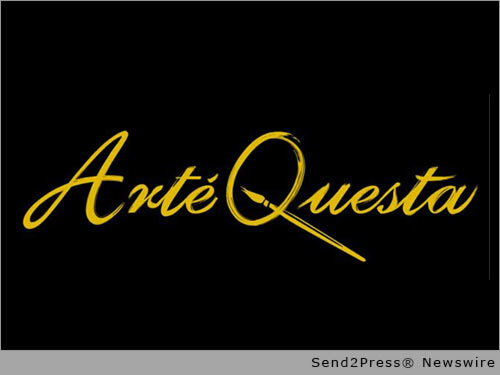 ArteQuesta helps individuals, families, companies and institutions build investment quality art collections. We help clients discover new art and artists; get access to art not available to the public; advise on purchases and sales; provide first-class provenance services; buy and sell; keep them up to date on trends, new artists and exhibitions worldwide. Founder Rayah Levy brings years of expertise in the art market as an advisor, curator, educator and humanitarian to bring together the fine arts and the investment world, promote preeminent 21st century artists and foster artistic expression. Original Keywords: culture of Israel, Israeli Masters Collection, Rayah Levy, ArteQuesta Art Portfolio Management Software ArteQuesta Mill Valley California MILL VALLEY, Calif.
REFERENCES: Business News, culture of Israel, Israeli Masters Collection, Rayah Levy, ArteQuesta Art Portfolio Management Software ArteQuesta Mill Valley California MILL VALLEY, Calif.